Fair Elementary: Move To Learn Coach Comes to Fair on Friday!! Move To Learn Coach Comes to Fair on Friday!! Louisville, Miss. 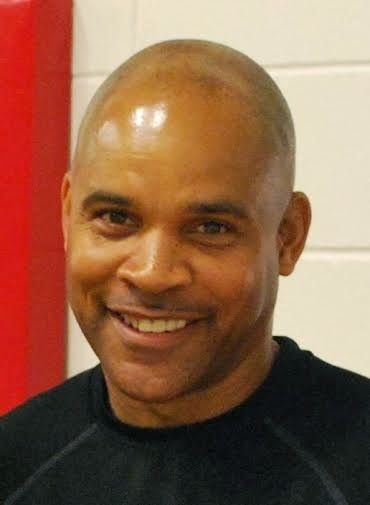 – Coach Larry Calhoun, the star of the Move to Learn exercise break videos, will be at the Fair School campus on Friday, December 13, 2013 to introduce administrators, teachers and students to the Move to Learn Initiative. A team from The Bower Foundation and the Mississippi Department of Education’s Office of Healthy Schools will accompany Calhoun to present a live demonstration of the Move to Learn videos. The presentation will be held at several times after lunch in the cafeteria. Fair Elementary School is located on North Columbus Avenue. “Improving nutrition and physical activity levels for Mississippi school children is a priority; healthy children are more likely to be academically successful,” said Anne Travis, CEO of The Bower Foundation. The foundation is partnering with the MDE OHS to improve the health of students statewide through the program. “Brief physical activity and increased fitness improve learning and test scores. With this in mind, Move to Learn was designed to be fun for students, improve learning, and assist teachers with classroom management,” said Scott Clements, Director of MDE’s Office of Healthy Schools. The Move to Learn videos feature Coach Calhoun leading students in simple movement exercises that can be done in a small space. Teachers are noticing that incorporating the fitness breaks in the classroom has increased their students’ ability to learn and to focus on schoolwork. The fitness breaks help teachers create positive learning environments and promote effective classroom management. These brief, organized, and free classroom movement breaks can help teachers manage their students’ energy levels so that after a fitness break children’s brains are more focused and ready to learn or take a test. These breaks were developed by Mississippians for Mississippi children. Research shows us that when we exercise our body we are also exercising our brain. Mississippi teachers are excited about this resource as they prepare students to meet education standards. Studies have shown that physical activity increases a child’s ability to learn, and as fitness improves, test scores improve. More information about The Bower Foundation’s Move to Learn programs may be found on the Internet at www.movetolearnms.org. Kids Have Great Time with Move To Learn Team! !